Lil Pump is a 16 year-old rapper from Miami, Florida. 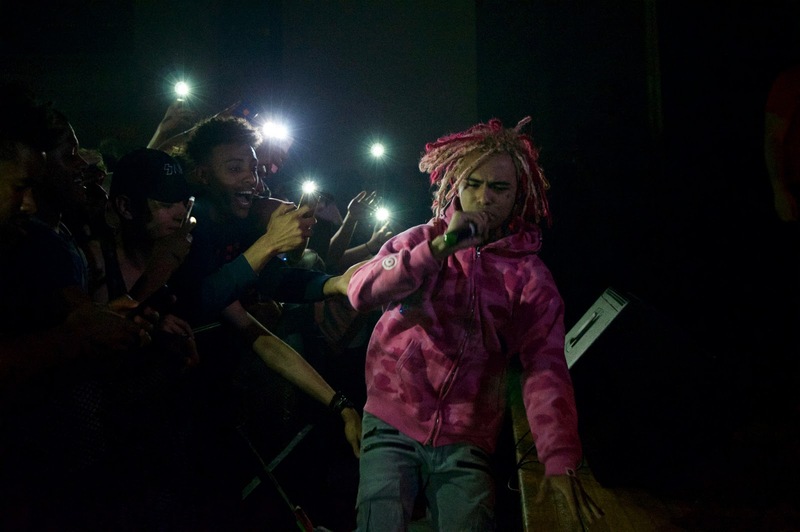 The teen, known for his speaker-blowing trap songs about drug dealing and jewelry, made his first trip to Kansas on Thursday night. Due to the fact that he has only released around 10 songs -- all around the two minute mark -- his set was over in less than 20 minutes. Fans that knew him well enough were expecting a short set, so that didn't disappoint them. Fans hopped up and down relentlessly during songs and let out cries of Pump's catchphrase -- "ESKEDDIT!" -- when silence fell. One fan even hurled a bra onto the stage. Before the night's main event, the crowd was offered sets from Boston's Gio Dee and locals Gee Watts, City Watts, Kuttybear, Jooby Truth, and Star B. Rory Fresco also popped in directly before Pump to perform his latest single "Lottery."